Capitalists@Work: France - the Euro Killer? France - the Euro Killer? Continuing our whimsical themes from last week, today we are going to look at France why such an economic basket case is threatening to replace Italy and Spain as the biggest threat to the federalist dream of the eurozone and European superstate. France has predicted growth of 1% this year and 1.7% next year - but according to the international experts this is quite a heroic estimate. In June many of the key manufacturing and business indicators put France on warning for a mild recessionary event in the second half of this year. French Unemployment is above 10% and the population is growing fast - faster than the UK. Also it is for the same reasons as the UK - immigrant mothers and record levels of immigration are both boosting the population. Not so long ago (up to WWII and until the 1960's) France had a much smaller population than England. Now that has changed and it is no coincidence that UK and the FN are both rising int he polls rapidly on both sides of the channel. France too has a leftist Government that is the most unpopular of all time - a great accolade for President Hollande. With Government spending at 57% of GDP there is little for private business to do in France. To pay for this, taxes have gone up from 44% of GDP to 47% of GDP in the past three years. To do this France has relied on huge increases in social taxes, in effect, employment taxes. A business colleague of mine opines that in his business, on euro spent on salary requires 9 euros to be spent on employment and corporate taxes. Not only this, but French tribunals find in favour of 'unfair dismissals' at a rate of 75% success for employees who then get 6 months pay. The net result is no one is ever sacked and instead there are huge bribes paid to make people leave on mutual terms and not submit unfair dismissal claims - typically 3 months pay, natch. Together with this micro-economic mess, France has played for years in the world of state subsidies and ownership - to great effect historically too. TGV's plough the country, the farmers are paid from EU funds. There is a rosy glow from the past, however manufacturing is in decline and has been for a while and all French companies look to build up there foreign units where possible to avoid French labour laws and tax laws. At the next elections is is hard to see what will happen. The Left will be defeated, but whether by the traditional right or the Front National is harder to see at the moment. France is the sick man of Europe currently and its saving grace is its low budget deficit, much lower recent times than the UK's, which to date has prevented any kind of run on its bonds. However, with sclerotic growth and no reform, France is headed in only one direction. Not to mention les banks! Sacré bleu, they are more exposed to the potential fallout of a Eurocrisis than any other country's. The picture may be more rosé than you think, though. The French are much better at running public sector companies than we rosbifs are. So just because the state is huge does not automatically mean it is inefficient. Household debt is low because the rules don't let people go mad on credit cards, which also means that the national debt is eased by savers being encouraged to lend their rainy day fund to le gouvernement. They are stuffé but perhaps not as stuffé as the stats make out. A bit of Euroflation and a few supply-side tweaks might just dig them out of their malaise. Also, I am not sure how a fast-growing population is supposed to be economically a bad thing. It's not as though France has run out of space. Pre-industrially, France had four times the population of Britain. Ah, the national debt is the same as state borrowing. Keep the pensions debts secret. The state's taken all the pension contributions and spent them. No assets. Problem is they still owe the pension. supply side tweaks are not on their menu BQ. Neither is euroinflation. As china struggles we are going to get more deflation exported to us, not less. It's all about the debts. France is going to be in a worse place when it comes to pensions than the UK. And the UK is in a dire place. Annual rate of increase between 2005 and 2010, 636 bn a year. Total taxes even now do not come to that, at 600 bn. The situation in France is going to be even more dire. No Euroflation? Not even now even the mighty Germans are in recession? No tweaks under Blairite PM Valls, who will get support from all main parties in the face of the Le Pen threat? Doesn't work when your big debts are inflation linked. And the big debts are pensions which are inflation linked. One has to look at the prosecution of Sarkozy. Pure banana republic. 1. Arrest and convict your rival (s). 3. Then declare state of emergency. A Le Pen victory would be interesting. What would they do on the economic front, and what would the EU try and do to shaft them. Le Pen would take France back to the wonderful 60s/70s: capital controls immediatement followed by inflation etc. but this time with the added épice of everyone draining their accounts and smuggling their Euros into neighbouring countries. Pension debts may be bigger than the stated debt but they are always less immediate, and as in the UK, can be rebalanced by demographic changes and tinkering. I agree the show arrests on Sarkozy are worrying. The French voters are not stupide though. 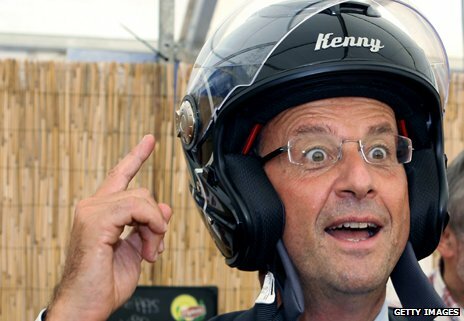 "The French voters are not stupide though." Most voters in most places are stupid - otherwise Democracy As We Know It wouldn't work. Are they less immediate? Both are long term. The requirements are still that the pensions needs are higher than the borrowing, because of the scale. Look at the 'surplus' or lack of 'surplus' in the state pensions. Surplus being their definition, which is cash flow in > cash flow out. Nothing to do with assets > liabilities. Even the 'funded schemes' aren't fully funded. Huge real deficits of assets < liabilities. Local government. Lets be clear. Demographic changes means defaults. Not paying out until you are over 80 etc. Tinkering means not paying out by breaking the links with inflation. Missing is the current French solution. Huge social taxes on work. The effect is the same as taxes on cigarettes. The problem for politicians is loosing your head when the public work out what's gone on. There's a slight hint in the UK as people work out that MPs were paedophiles, and it was covered up. The trouble with devaluing is that they are in the euro and that is precisely what they cannot do. Pension liabilities are worrying in that they are enormous in one capital sum, but run off over the next 70 years, not so and if you need to reduce pension liabilities, all you need to do is underfund the NHS a bit more - after all generally only the very old and the very young make great claims on the NHS. @Lord Balgger - I've told them on this site that the pensioners are a major problem but they didnt believe me. There are no pensions, the govt knows it, in fact many of the boomers are carrying massive debts they'll never repay (see ~50% of outstanding mortgages on IO). The govt are engineering a boom with their 'Help to Sell' scheme to help these clowns out. Get the price ramped and sell into an inflated market with no CGT. Downsize, in other words. Problem is that this 50+ generation are so thick that they think they can cash IN on this boom rather than cash OUT. An actuary friend of mine - commenting on the new pension withdrawl allowances - opined that there were going to be some very, very sorry 70 year olds in a few years. I predict in the next 20 years we're gonna need the modern equivalent of poor houses built across the country. I further predict that these poor houses will house many people who now consider themselves 'rich'. Mortgages are a very small problem. Here's my analysis of why. 1.5 trillion borrowed on 5 trillion of property. On average, clearly not a problem there. OK, move away from the average to the individuals. Here is the same question. Negative equity? NE of England, there is neg. eq. However, its a small number of people. Lots will have bought long ago, and so its not an issue. Where's the issue then? It's sensitivity to interest rates. 1% on interest rates when you are paying 2% now, is 50% on your payments. That's the kicker. The flip side of that, is I don't think the BoE can increase interest rates by much, because the effect on a significant minority is to wipe them out. On pensions, yep, lots are screwed. 30% can't last 1 month on savings. How are they ever going to retire when the state can't pay. Poor houses? Bunk beds in hostels if lucky. Yep, your assesment of 'rich' in that situation is correct. "1.5 trillion borrowed on 5 trillion of property. On average, clearly not a problem there." The valuation of £5 billion is fluid while the debt of £1.5Bn is not. These properties would have been worth a good deal less in 2008 but the debt would have been the same. It is because of this egregious ramping of property values that I smell something else afoot; a sellers market. If this isnt the biggest opportunity to get OUT of property and downsize I dont know what is. I predict that these boomers will come a cropper all at the same time - starting from now - when they all live longer than they expect and have to sell their investments down. The mid-late 1940s boomers are retiring en masse and next year those born in the 1950s will join them. With no pensions the ONLY option these people will have is to sell their houses. When this happens the debt relative to 'value' will rocket and we'll be in a cash rich society on the verge of bankruptcy.